While looking through her grandmother Emmaline's keepsakes, Lena Duchannes comes across a little blue book with a big history--a book that changed Macon Ravenwood's life and saved Lena's. When Lena was a baby, Seer and gifted card reader Amma Treaudeau saw a terrifying future in the cards that sent her to Emmaline's door. When a powerful Dark Caster sets fire to Lena's house with baby Lena and her father trapped inside, Amma, Emmaline, and Macon vow to protect the child. Lena's grandmother and her Uncle Macon whisk Lena away, protecting her and moving her to a new place at the first sign of trouble. But a Caster can only hide for so long, and Macon must rely on the teachings in an ancient book to control his Dark nature. Ultimately, it will be his job to protect Lena--and keep her from surrendering to a Dark fate. 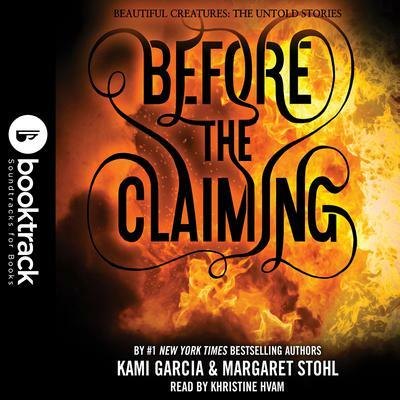 #1 New York Times bestselling authors Kami Garcia and Margaret Stohl revisit the events that would define Lena's future in the third installment of Beautiful Creatures: The Untold Stories.